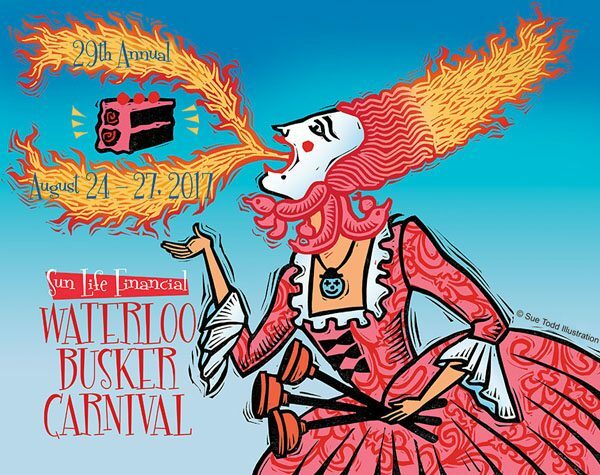 For many years I have been invited to contribute art to the Sun Life Waterloo Busker Carnival. It is always a favourite assignment, and this year was no exception. My technique is linocut with digital colour.